Clinicians and patients around the world have been intrigued by the concept of developing an oral anticoagulant with a broad therapeutic window and few drug and dietary interactions that can be administered at fixed doses with no or minimal monitoring. The recently approved oral direct thrombin inhibitor dabigatran, along with the emerging oral anti-factor Xa inhibitors, rivaroxaban, apixaban, and edoxaban, have been developed to address many of the shortcomings of warfarin therapy. As warfarin is associated with extensive food and drug interactions, there is also a need to consider such interactions with the new oral anticoagulants. While to date few drug and dietary interactions have been reported with the new oral anticoagulants, it is still early in their development and clinical use cycle. Pharmacokinetic and pharmacodynamic profiles will have to be closely accounted for when determining the likelihood of a potential drug interaction prior to therapy initiation. As the list of drugs and supplements that interact with warfarin is continuously expanding, and the knowledge on drug interactions with the novel oral anticoagulants is still in its infancy, clinicians need to be vigilant when initiating any of these agents or when any changes in the patient’s medication profile occur and perform a close screening for potential drug and dietary interactions. 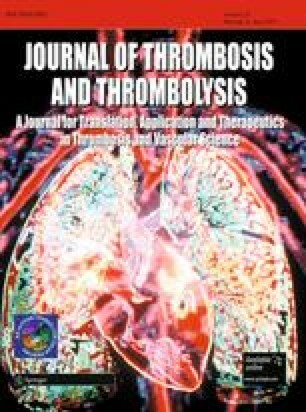 The objective of this paper is to give an update on drug and dietary interactions with warfarin and the novel oral anticoagulants, dabigatran, rivaroxaban, apixaban, and edoxaban.